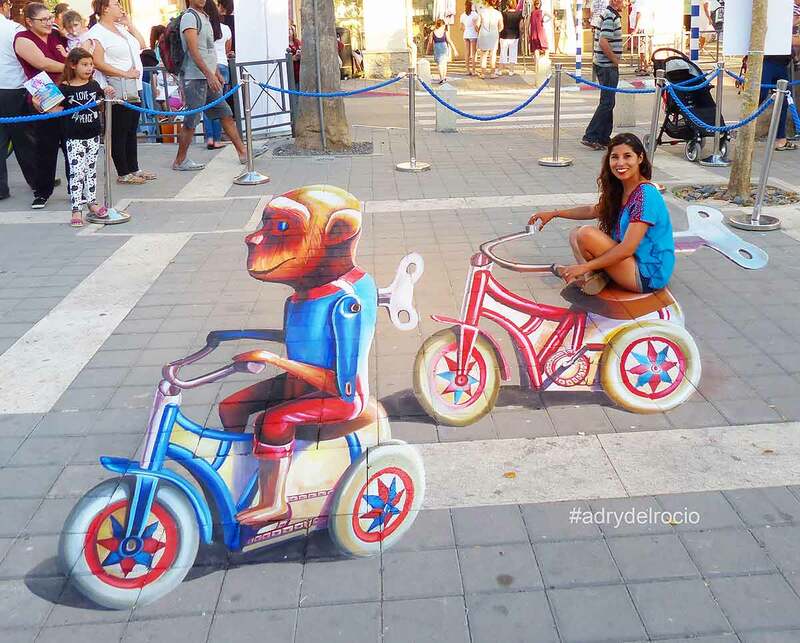 3D-Streetpainting / 3D streetart "Cuerda de Sonrisas" (Rope of smiles) created by chalk artist & Madonnara Adry del Rocio at International 3D Festival, Afula, Israel. 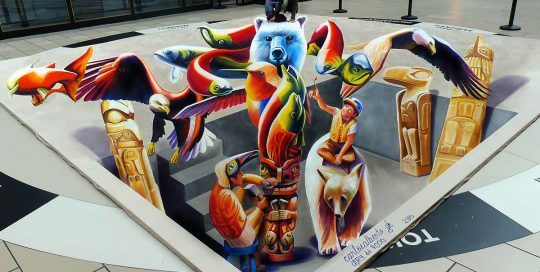 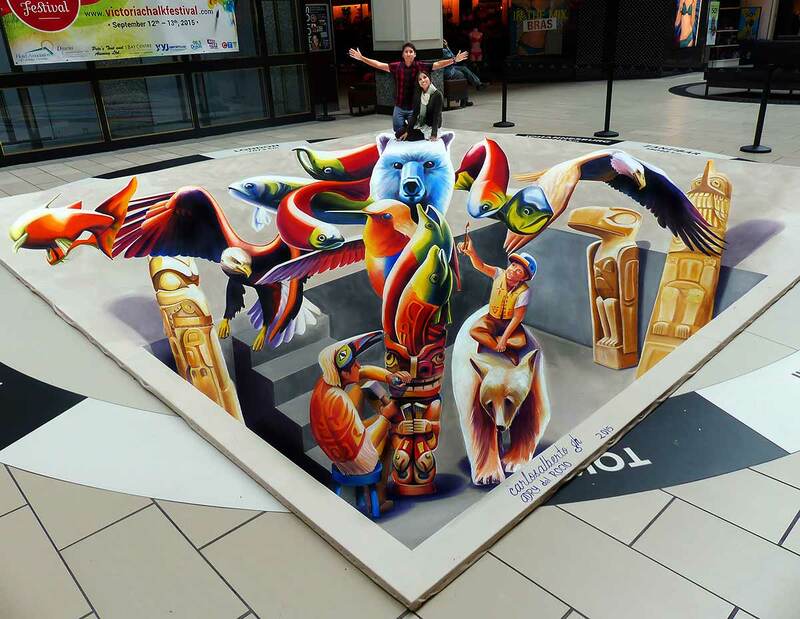 3D Streetpainting "Nature´s Spirits"created on floor by chalk artist Adry del Rocio in collaboration with Carlosalberto_GH at Victoria Chalk Festival, Victoria, Canada. 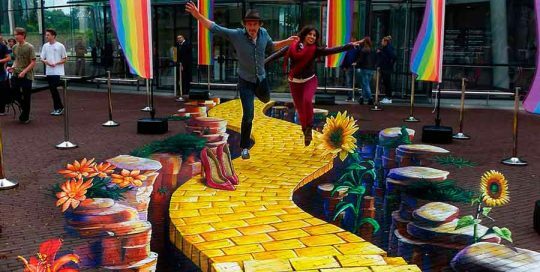 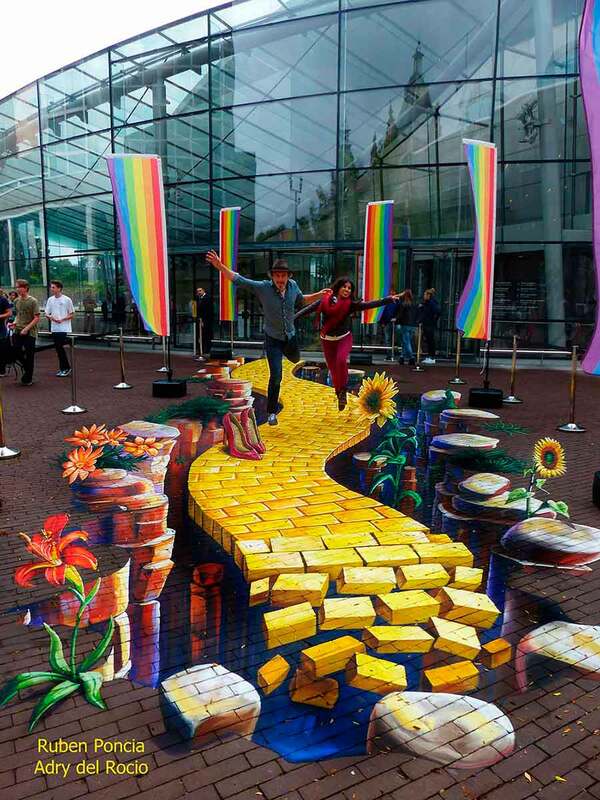 3D Streetpainting "Yellow Road" created by Adry del Rocio & Ruben Poncia at Van Gogh Museum in Amsterdam, The Netherlands. 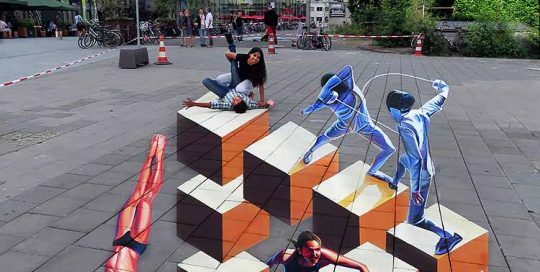 3D Streetpainting "The Olympics" created by 3D chalk artist Madonnara Adry del Rocio in collaboration with Carlosalberto_GH at World Street Painting Festival, Arnhem, The Netherlands. 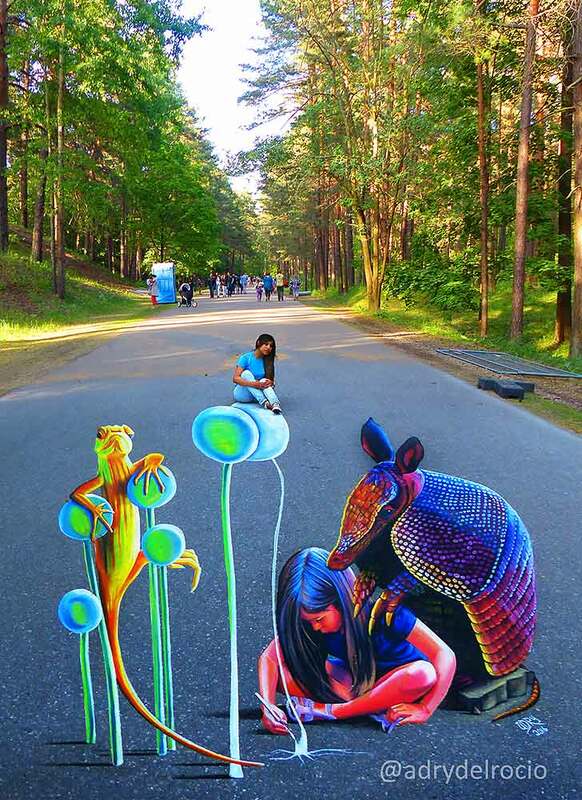 3D-Streetpainting / 3D streetart "Creating the future" (Creando el futuro) created by chalk artist Adry del Rocio at Illusions of Riga 2016, Riga, Latvia. 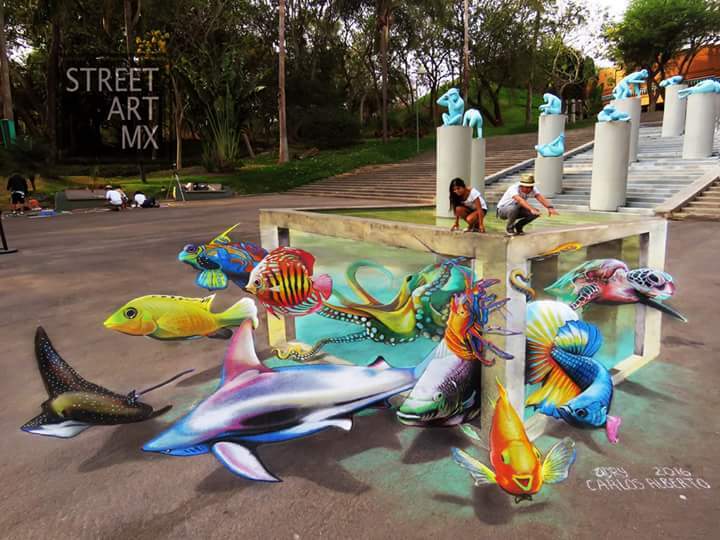 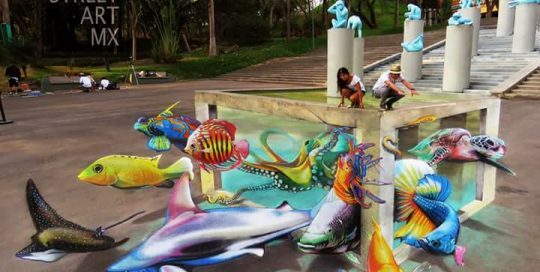 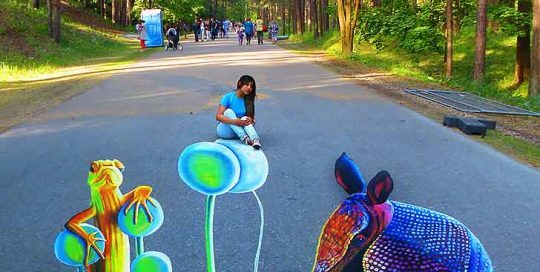 3D Streetpainting "Aquarium" created by chalk artist Madonnara Adry del Rocio in collaboration with Carlosalberto_GH at Colores de Jalisco Festival, Guadalajara Zoo, Mexico. 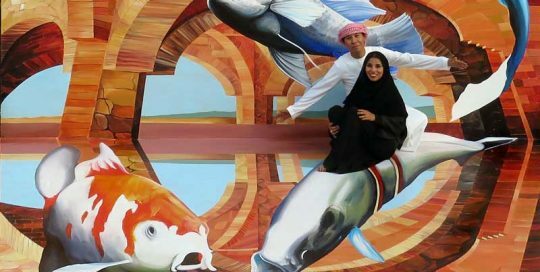 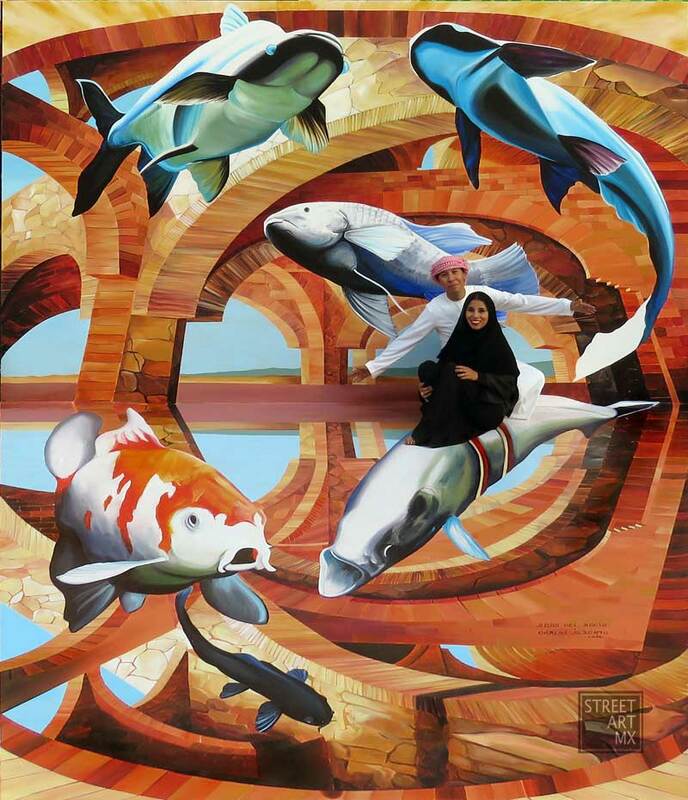 3D Streetpainting at Dubai Canvas Festival, Dubai, UAE. 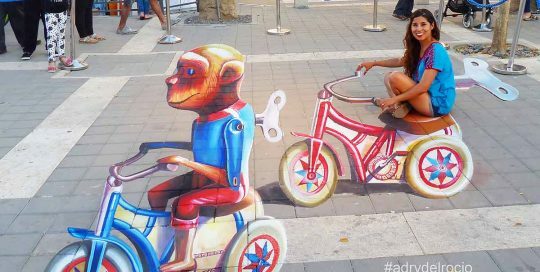 3D Streetpainting "Deflection" (Desviación) created on floor and wall by chalk artist Adry del Rocio in collaboration with Carlosalberto_GH at Dubai Canvas Festival, Dubai, UAE. 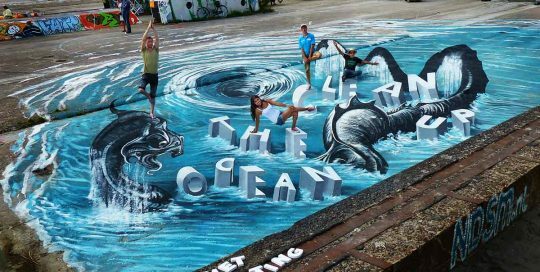 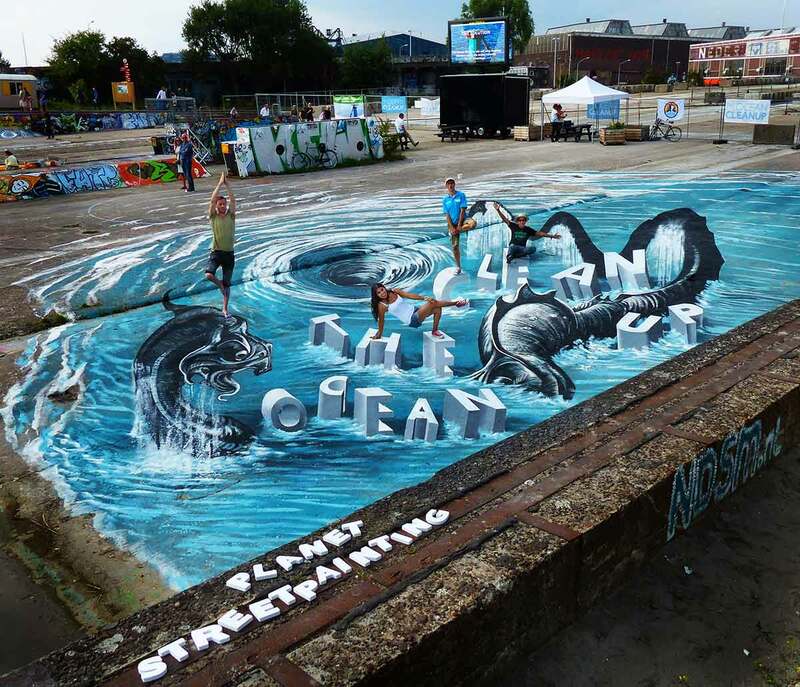 3D Streetpainting "The ocean clean up" created in collaboration with Planet Street Painting by Adry del Rocio, CarlosAlberto_GH, Jean-Marc Navello, Matthew May, and Peter Westerink at NDSM Werf, Amsterdam, The Netherlands. 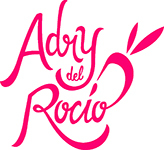 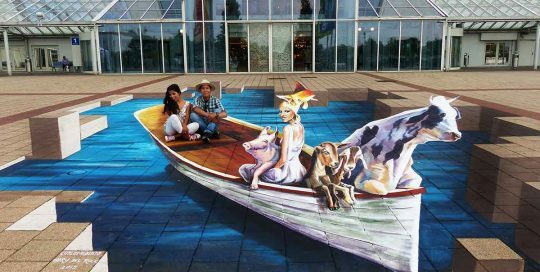 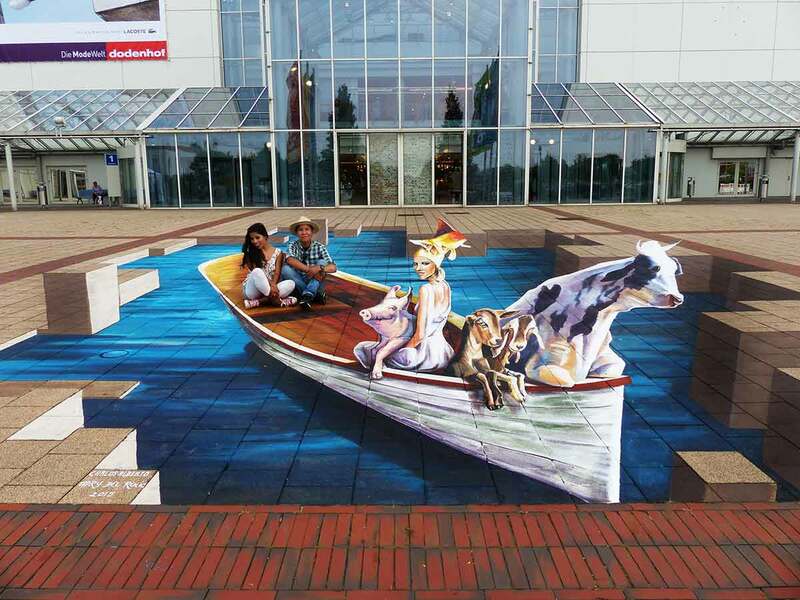 3D Streetpainting "Boat" (Balsa) by 3D chalk artist Adry del Rocio in collaboration with Carlosalberto_GH at Shopping Center "Dodenhof" in Posthausen, Germany. 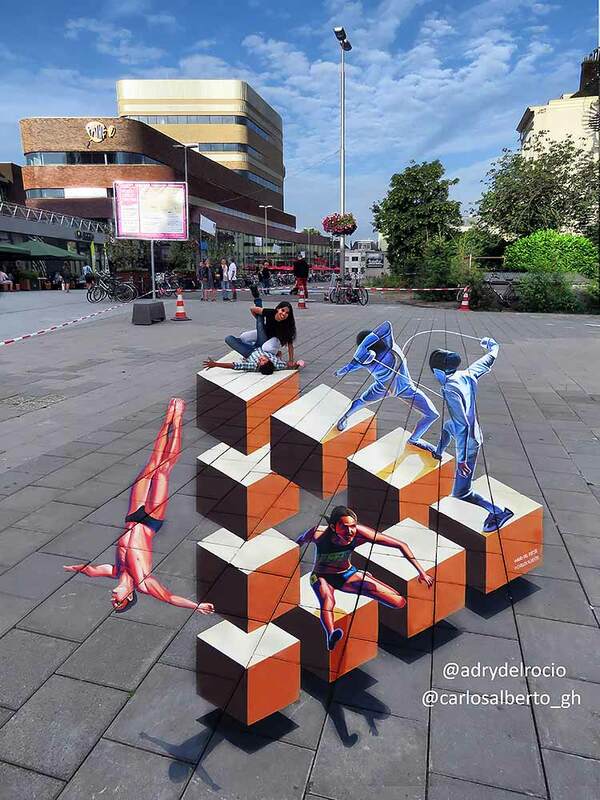 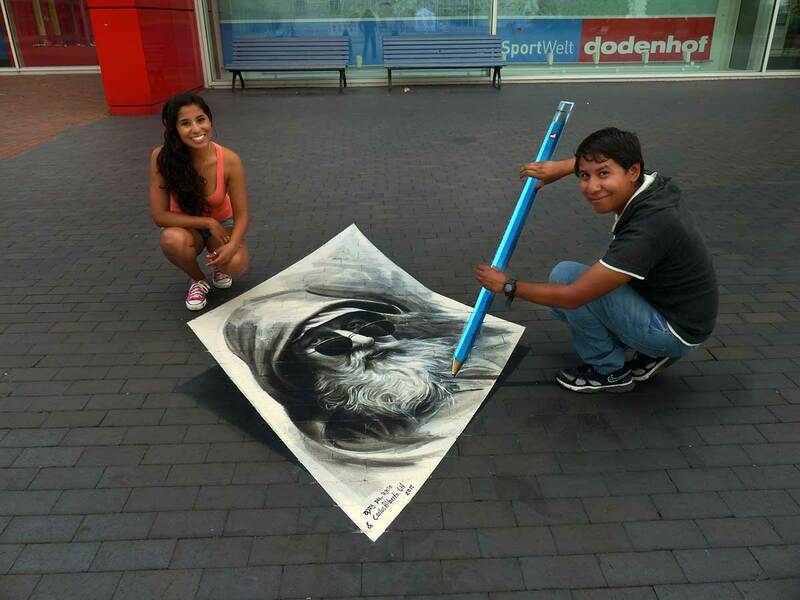 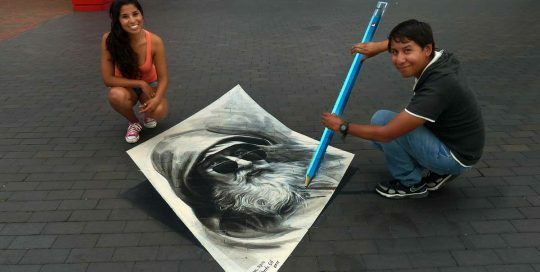 3D Streetpainting "Doing a portrait" (Haciendo un retrato) by chalk artist Adry del Rocio in collaboration with Carlosalberto_GH at Shopping Center "Dodenhof" in Posthausen, Germany.